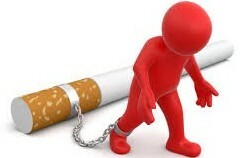 Quit Smoking - become a non-smoker today! Do you feel like a slave to cigarettes? Tried everything? Frustrated with wasting money? Is your health suffering? Are you ready to embrace health and vitality? Is it time to choose freedom, to feel positive, energised and empowered? Like thousands of others you can find success and Quit Now. At State of Mind Hypnotherapy our Quit Now program uses the power of advanced Hypnosis and NLP processes to make it easy to quit. You will learn techniques to bypass the challenges usually associated with giving up smoking. Hypnosis is totally safe, natural and known to be extremely effective. Our program draws on the benefits of hypnotherapy but it is much more than this. It is an advanced set of processes that removes a lot of the common reasons people fail, before they ever happen. We address cravings and there's no withdrawals. Learning new ways to deal with old stresses, many people actually lose weight and 'springboard' themselves into a healthier, happier lifestyle once they use this solution to quit cigarettes. 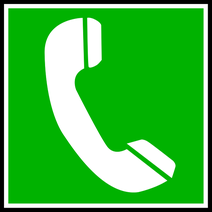 Call now to find out more and receive a bonus 'Stress Relief' MP3. Will Quit Smoking work for me? Yes. Providing you want to quit for yourself - not for your partner or doctor or anyone else. Yes. Providing you are ready and fully committed to a successful outcome, to live your life as a non-smoker and you allow yourself to be guided through the processes, practice the techniques that you learn and use any support recordings provided. Sessions are individually tailored to meet your specific needs and your individual requirements. Are you unsure if you want to Quit Smoking? If you are unsure about whether to Quit or not give Carolyn a call. In an individualized session we can help you find the motivation to give up your habit. Most people Quit after just one session. Just two hours and you are free. Our business is based on happy clients and referrals. Your success is our success. Patches, drugs and disappointments are things of the past. If for any reason you need more help or you start smoking again, the Quit Program includes a follow-up session totally FREE of charge to help you be a non-smoker. That is our commitment to you. You will also receive a support package including a Quit Support Hypnosis audio for that little bit of extra support and a Quit Now! Guide to Success. You will love the feeling of being a non-smoker and you will be amazed at how achievable it is using our advanced hypnosis techniques. Just wanted to thank you for your treatment. Since our session I have not touched a cigarette it’s been amazing. And now that I’m not wasting my money on cigarettes I have brought my new Ute. Had a good weekend, including my first round of golf without a smoke (I didn’t play the weekend before). Hope you don’t mind but I’m passing your details onto some friends who have been impressed with my results. After my first session to help me quit smoking I’m so happy with the results. I walked out not wanting or craving a cigarette again. I have gone from a pack a day smoker to not having a cigarette in 4 weeks. I could not be happier and would definitely recommend Carolyn to my friends looking to quit smoking.